Reinforced by a skilled crew, our firm is indulged in presenting for our clients, a range of Capsaicin USP. We are producer, supplier, trader and expoter of Natural Capsaicin. Capsaicin is a colorless pungent crystalline compound derived from capsicum, it is an ingredient in many topical skin preparations used to relieve pain. The pungent component of red chilli is capsaicin (C18 H27 NO3) - off white powder. The pungent component of red chilli is capsaicin (C18 H27 NO3) - a white crystalline powder. Srihit Labs can supply the pharmaceutical industry both USP Grade and Pure Capsaicin. 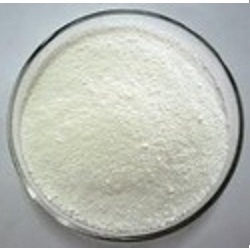 We are engaged in offering Capsaicin Natural Pure. 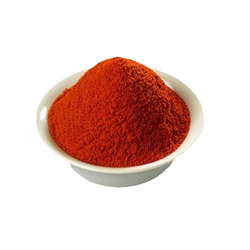 This Capsaicin Natural Pure is extensively used for both seasoning and coloring food items. Further, the offered products are available in market in bulk at most reasonable prices. Our products are available in safe packaging. CAPSAICIN (USP, “Natural, “Purified) CAS No 404-86-4 Steve Weiss & Co., Inc. is the largest supplier of Capsaicin raw material to the USA and Canada. Capsaicin is a phytochemical present in red chilli peppers. Pure capsaicin is a hydrophobic, colorless, odorless and crystalline to waxy compound. Capsaicin is the major capsaicinoid present in red chilli pepper.